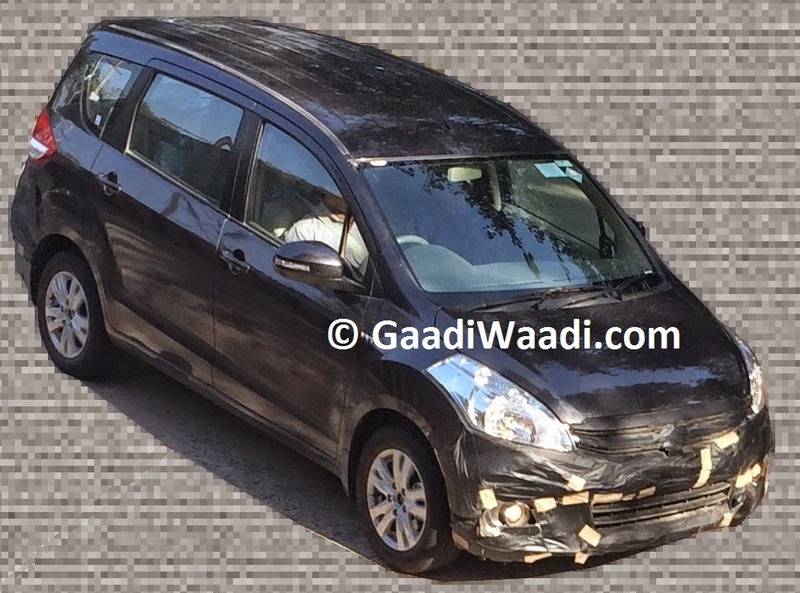 Maruti Suzuki Ertiga is getting a facelift in India and here are the first spy pictures of the MUV (LUV), thanks to Gaadiwaadi.com. The facelfited Ertiga will be launched early next year. 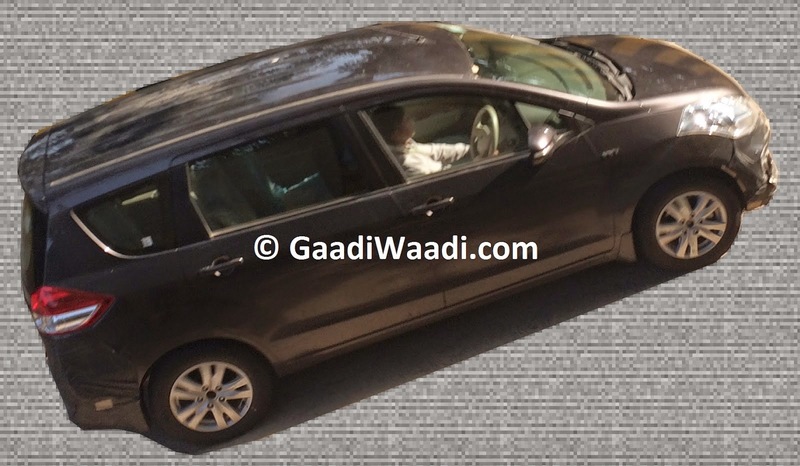 Maruti Ertiga has been getting stiff competition from newly launched Honda Mobilio. Also plans of entering of new manufactures in the segment have further heated up the competition. Renault and Datsun are planning to launch a MPV in Indian market soon. Toyota is coming up with new Innova and since the Ertiga was basically launched as a low cost alternative to Innova, it makes sense to give a facelift make the MUV look fresh and elegant. The Ertiga facelift will get some aesthetic changes in the form of redesigned bumper and grill, new set of alloy wheels and some interior changes to make it look attractive. Certain features could also be carried from the newly launched Swift, like push button start etc. There will not be any major changes under the hood. The Maruti Suzuki Ertiga will be continued to be powered with the same 1.4L K Series petrol with 95 Ps power and 130Nm torque and the 1.3L DDiS diesel with 90 Ps power and 200 Nm of torque. There is expected to be minor changes in the gear ratios that will help in improving fuel efficiency. In-spite of stiff competition, Maruti Ertiga managed to sell more than Honda Mobilio last month. Expect for a hike in Ertiga prices when the facelift is launched. The Maruti Suzuki Ertiga Faceliftexpected prices is 7.00 – 9.00 Lac . It's expected launch date is October 2015.